490 Sail Lane #404, Merritt Island, FL.| MLS# 836461 | Free Brevard County MLS Home Search. No Agent Needed. Daily Auto-Email Listings of All Brevard County Homes and Listings For Sale That Meets Your Home Buying Criteria. Brevard County Real Estate Market Information. Welcome home! 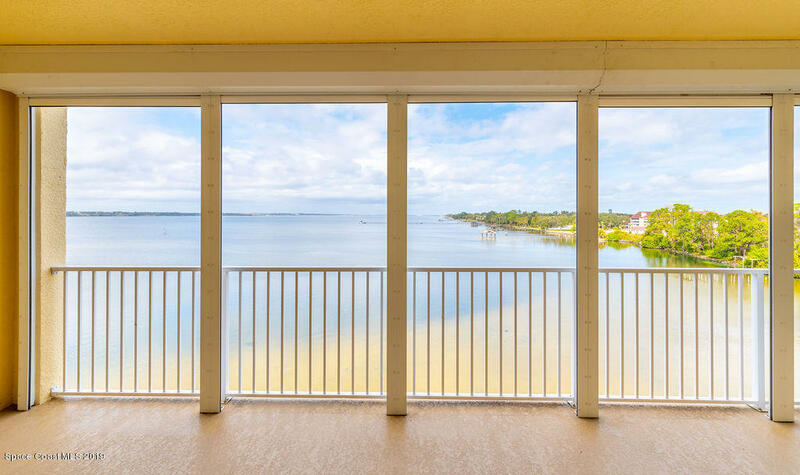 Feel like royalty from your expansive balcony with stunning panoramic views of the Indian River! This spacious condo is light & bright with an abundance of windows. The open floorplan boasts three bedrooms, two full bathrooms, & a large flex room that offers the versatility to be a great formal dining room or office. The kitchen comes fully equipped with solid surface countertops, eat-in kitchen, breakfast bar, sizable pantry, & island for extra storage. Island Pointe is a guard-gated community featuring a clubhouse with gym & sauna, basketball court, multiple tennis courts, & two resort-style pools to exceed all your recreation needs. You will love the convenience of parking in your private one car garage with added space for storage.